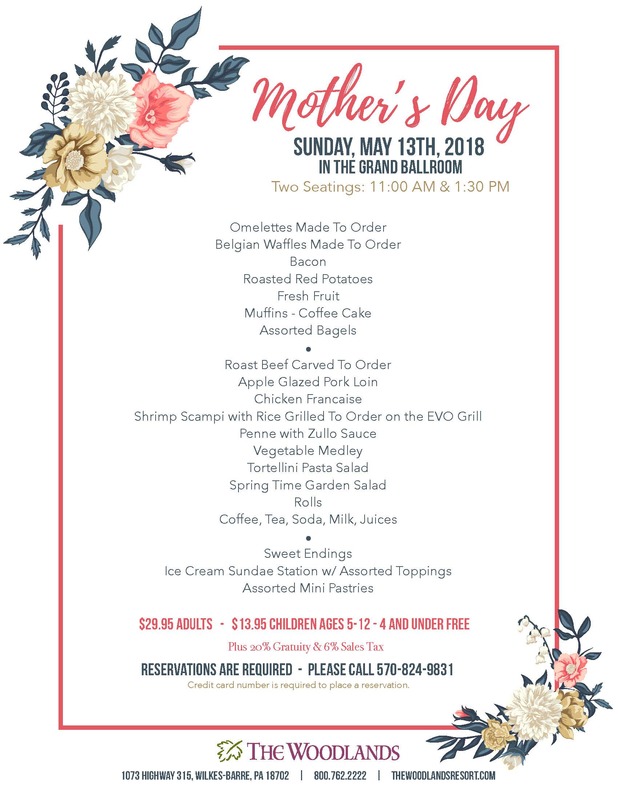 FOR 2019 MOTHER’S DAY BRUNCH, PLEASE CLICK HERE! After booking, if it is necessary to add to your reservation, please book the additional reservation online and use the same name under which the initial reservation was made to ensure you are seated with your party. If you need to reduce the number of reservations, please call Michelle at 570-824-9831 Ext. 301 to request a refund.